Your skin can take a bit of a pounding in this cold weather. Give it a treat with this buy one, get one free treatment offer at Elemis. That means you’ll get a fabulous 2 Elemis facials for £45 – how good is that! First, why not visit your local Elemis beauty counter for a free skin consultation. Here, at the skin labs, the therapist will tell you what your skin is in need of and suggest the facials that are right for you! The treatments include Tri-enzyme resurfacing facial, known to smooth and refine a dull complexion. There’s also the Pro-collagen Quartz lift facial, which will lift and firm your skin. The moisture-boosting treatment that is Skin radiance will energise your face to give you a glowing appearance. 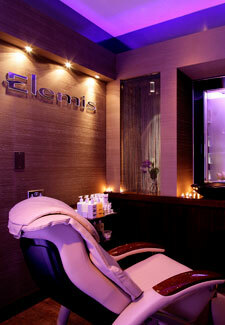 Visit your local Elemis counter and check that they have a Spa Pod available. In turn, you can call customer services on 0117 316 1888 to find your nearest department that has one!